Six people including four police officers, a safety officer and a solicitor are charged. THE CROWN PROSECUTION Service (CPS) has today decided to bring charges against six people referred to it over the Hillsborough disaster. The decision comes over a year after a new inquest into the tragedy ruled that the 96 Liverpool fans who died at the game were unlawfully killed. Sue Hemming, the CPS Head of Special Crime and Counter-Terrorism Division, made the announcement to families of the deceased at a private meeting in Warrington this morning. She said: “Following our careful review of the evidence, in accordance with the Code for Crown Prosecutors, I have decided that there is sufficient evidence to charge six individuals with criminal offences. Criminal proceedings have now commenced and the defendants have a right to a fair trial. It is extremely important that there should be no reporting, commentary or sharing of information online which could in any way prejudice these proceedings. David Duckenfield was charged with the manslaughter by gross negligence of 95 men, women and children. According to the CPS, it will allege that Duckenfield did not do his job on the day. The CPS said it was unable to charge him for the manslaughter of Anthony Bland, the 96th casualty, as he died almost four years later. 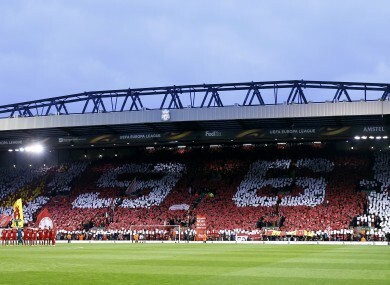 The families of the 96 have been fighting for justice for the 28 years since the mass deaths. They have been trying to undo the lies printed by The Sun in the days after the tragedy which falsely claimed that fans had urinated on police officers and robbed the dead. The victims of the Hillsborough disaster were aged between 10 and 67 and included 37 teenagers and 26 parents. Email “Criminal proceedings WILL be brought in relation to Hillsborough disaster”. Feedback on “Criminal proceedings WILL be brought in relation to Hillsborough disaster”.